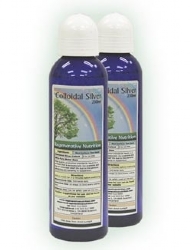 Olive Leaf works on fungal, bacterial and viral infections. A wonderful natural remedy that has other benefits such as anti-oxidant effects and can be helpful for the circulation. 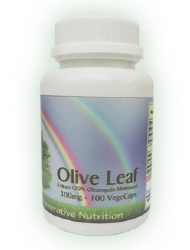 Please see the full Olive Leaf Extract Capsules article for more in depth information. 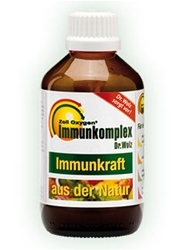 Propolis is another useful natural treatment for sore throats. 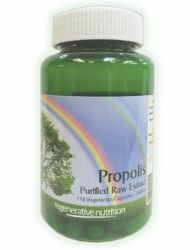 In scientific tests on fungi and bacteria, propolis has shown exceptional qualities. Studies by Dr J.M. Grange of the National Heart and Lung Institute (U.K.) were published in The Royal Society of Medicine magazine (March 1990). 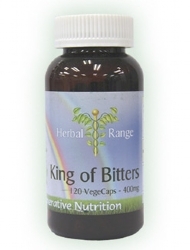 If after experiementation with one or more of the above remedies over a 3 month period, you are still suffering ongoing sore throats, you may want to consider whether there may be deeper underlying causes. There may be a degree of an auto-immune disorder so we would recommend that you read the article Factors Involved In Auto-Immune Disorders And Effective, Natural Treatment Protocols. The supplements recommended for the treatment of Sore Throat are listed below. Not all will necessarily be discussed in the article, as some may have been added after the article was posted. If a listed supplement is not mentioned within the article, or you wish to know more about any of the listed supplements, you can find out more information by clicking on that supplement below. You can also now add to your basket directly from this page.